Gavin Weald’s life is turned upside down when a flood wave tears through his home, killing his baby son. His wife falls to pieces, returning to her parents home and hiding from the pain the only way she knows how, in sleep. Gavin is left to grieve with his young daughter, Océan and the family dog, Suzy. He does his best to carry on, struggling to give his daughter a normal life, but as she withdraws into herself and begins to suffer from night terrors, he struggles to function at work. Gavin knows things need to change or both he and his daughter will continue to suffer. He hastily decides on a sailing trip, the only real escapism he feels he can provide. At first, he’s not too sure where they’re going, just that he needs to get them away. But soon an old sailing dream of his returns and he plans a trip to the archipelagos. Sailing a massive ocean isn’t easy and their ups and downs are both mental and physical but soon nature forces them to face their greatest fears. Archipelago is a beautiful story of a father’s love and his fight to save his daughter from a destructive life and rekindle her spirit. One chapter had me openly crying at a train station (not my finest hour) and fifteen pages later Monique Roffey had spun me right around to feel enlightened and uplifted. This is the type of book that touches you to a point you just have to sit in silence for a while and take it all in; then once you’ve recovered you’ll want to shout about it from the rooftops. Touching but unsentimental, Roffey doesn’t drag at the heartstrings, bleeding emotion from you, her unique style of writing stays to the point but can leave you devastated in just a couple of sentences. Being devasted by a book might not sound like a great thing but please believe me when I say it is! 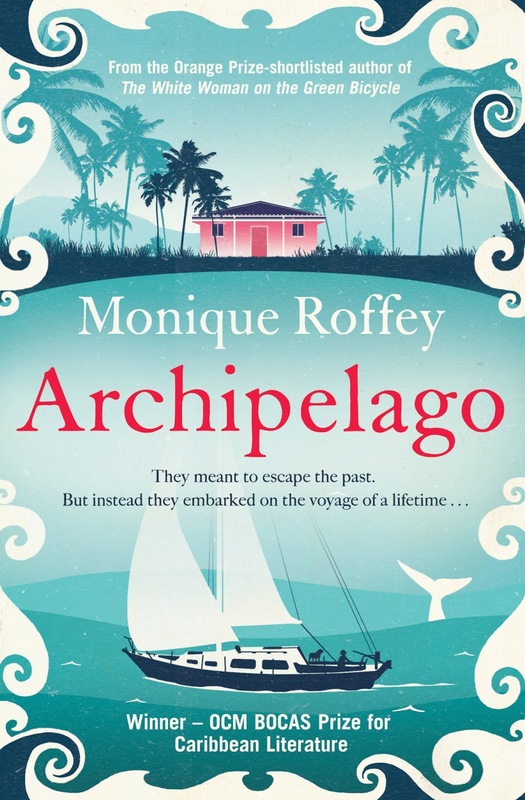 For me, Archipelago was an all-consuming joy from beginning to end, a book I felt bereft to finish and will look forward to reading again and again.